SCVHistory.com FW2010 | Placerita Canyon | 7 Walker Children, Late 1910s. 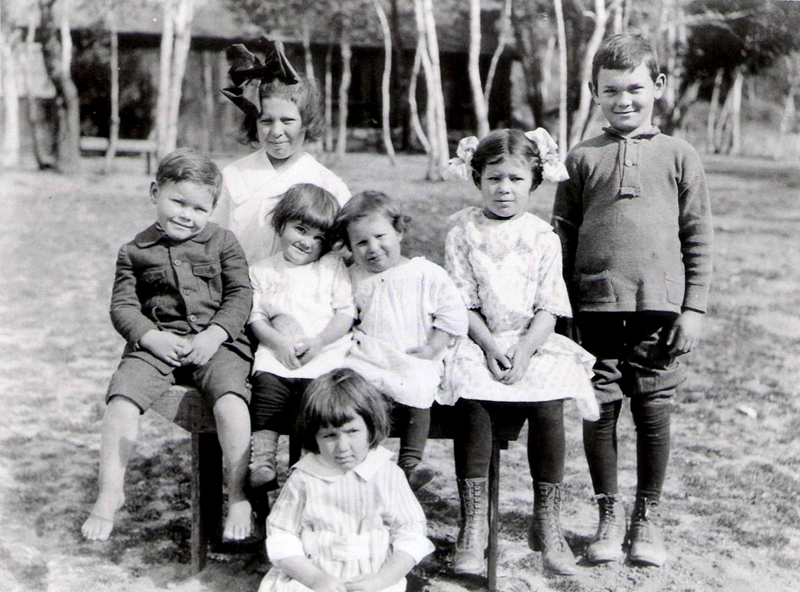 Seven of the 12 children of Frank and Hortense Walker at home in Placerita Canyon, probably late 1910s. FW2010: 19200 dpi jpeg from smaller jpeg | Walker Family Page on Facebook.